In the highly competitive retail fixture business, successful companies are known as much by their customers as the work they produce for them. With big-name retail clients including Swatch, American Standard, Sunglass Hut and Ralph Lauren Home, Milford Enterprises Inc., Quakerstown, Pa., has built a solid base on which future growth is expected to continue. The company recorded sales of $25 million in 2005 and jumped up more than 40 notches in the FDM 300 with a move from number 263 last year to 229 in the 2006 report. That growth has been due in large part to a concentrated effort to aggressively pursue new business opportunities. Milford Enterprises has accomplished that objective by leveraging its relationships with existing customers and focusing its manufacturing abilities on those products that truly optimize its capabilities. In the past the company relied on passive referrals, says Jeff Adkins, vice president/sales and marketing. "People would call and ask if we could do this or that. We would say we can do anything, even if it wasn't our specialty." Recently, a more focused approach has proven highly successful. As Adkins explains it, "We have been concentrating on things that we do very well, and that our customers are very happy with." Milford Enterprises offers custom merchandising products, including large production point-of-purchase, permanent point-of-purchase, kiosks and retail environments. "We're not a commodity company," says Adkins. "You can't buy what we do on the Internet. "Traditionally, people come to us when they have a succinct need and a short time frame to get things done. 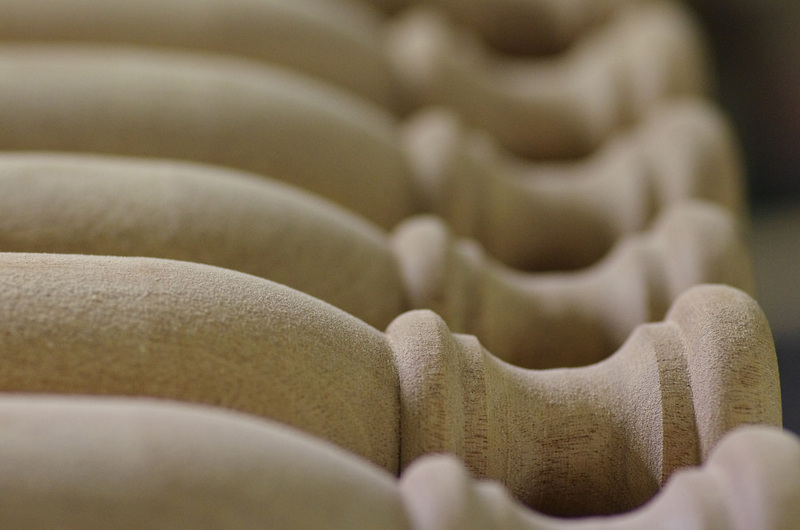 Everything produced is custom; it's designed and engineered to meet specific requirements. And it's normally produced fast. Customers don't have months to get these materials into the field. Five or six weeks of time is more typical. We are a resource because we can respond to those needs." Everything is fabricated at the company's Quakerstown plant. A small percentage of components are outsourced, but because most projects are completely custom, there isn't much opportunity to purchase ready-made parts. "Everything that is ordered and delivered happens with a pretty quick time frame." Although foreign competition is rapidly gaining ground in some sectors of the store fixture business, the longer lead times that are necessary rule it out when custom work is required. Every retail project begins with state-of-the-art 3-D modeling and illustration software. Milford designers work with customers to engineer their display, fixture or kiosk, which then moves to production where a full array of plant equipment, including a Giben panel saw and Busellato point-to-point, are used to fabricate the displays from a wide range of materials. A new profit center entered the picture after Milford purchased a wide-format digital printer to generate graphics for the displays and retail environments it produces. The company took this step because of a need to satisfy customers and some negative experiences with the suppliers it had been using. 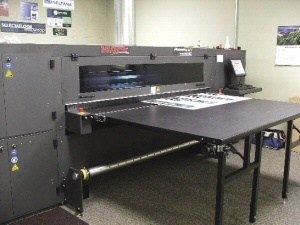 Milford installed a Vutek PressVu inkjet printer that uses UV-curable inks. The direct-to-substrate printing capability enables the company to produce large-format digital printing in house, which reduces costs and provides customers with premium quality graphics. "We used to outsource large-format jobs to local silkscreen printers," explains Kurt Althouse, vice president/manufacturing. "This was expensive and our suppliers found it increasingly difficult to match our high standards and deadlines. "By having the capability to produce large-format graphics in house, we now have much more control and enjoy significant productivity and cost-saving benefits," says Althouse. The press prints on a wide variety of rigid and flexible substrates. It's proving to be a big benefit to retail companies, which increasingly need bigger, bolder and more creative POP displays to sell their products. The press was installed last spring and almost immediately was put to work producing graphics for the launch of a new plumbing product from American Standard. Sold through a nationwide dealer network of hardware stores, the American Standard toilets display featured images printed directly on 3mm panels that promoted American Standard's new flushing system. A new facility has been opened in neighboring Doylestown to house the printer and a digital cutter that handles printed substrates up to 90 inches by 130 inches. While the capability has added to the production operations Milford offers it customers, it is also turning out to be its own profit center. "We got involved because we wanted to control what we give our customers," says Adkins. "Now we are finding there's a market out there for this type of product, and we are exploiting that as well." It can be tough to sustain sales increases in the range of 35 percent year after year, but don't tell that to management at Milford Enterprises. The company is in a growth phase and is looking forward to strong sales gains for some time to come. "We are looking for continued growth and we are on track," says Adkins. He points out that growing revenue is important, but it's the combination of several factors that really make the difference. It is not just more revenue, he says, it is the type of revenue, the margins that are produced and how the work coming in affects production flow. He gives the store fixture industry as a whole a bullish outlook but notes there are exceptions. "I wouldn't want to be in the commodity-based bidding game right now, because you are not going to beat the labor rates that are in the global economy." There is more room for success if you are a true, value-added resource for brand manufacturers, remain consistent with their branding and help them launch their products at retail. "Our objective is to continue to work with customers who appreciate our services and value-added capabilities," he adds. "When you do a good job for them, more projects tend to follow."